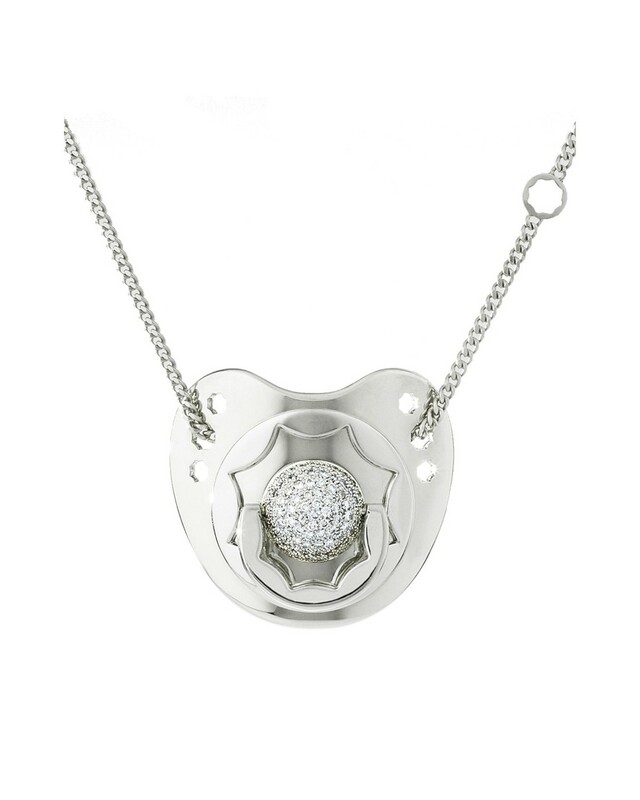 A timeless jewel to strengthen your bond. 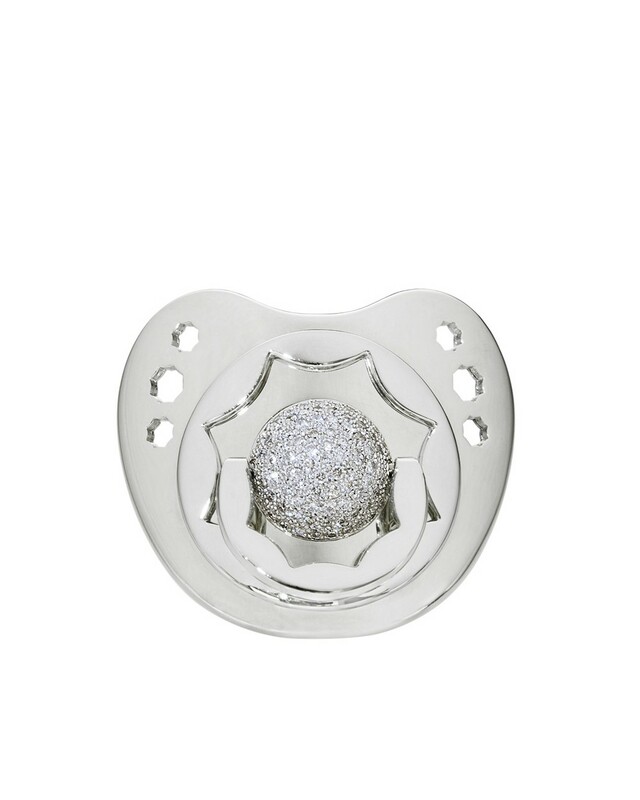 The astonishing essence of this white gold and diamond pacifier, lies in the very heart of the charm that surrounds its personality. 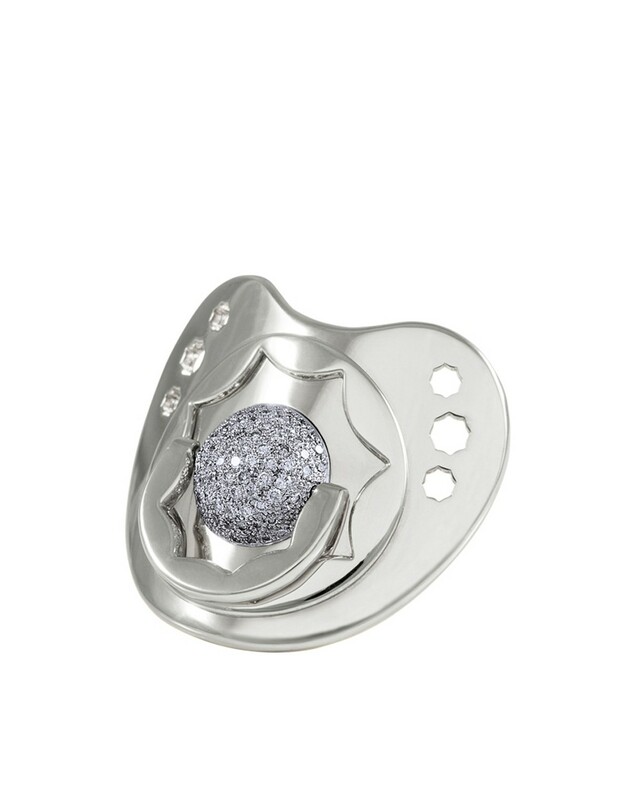 The Dodo Dummy in Diamond and White Gold is a gift to be proud of and its beauty will highlight your magnetism, rendering and indestructible bond between you and your baby. 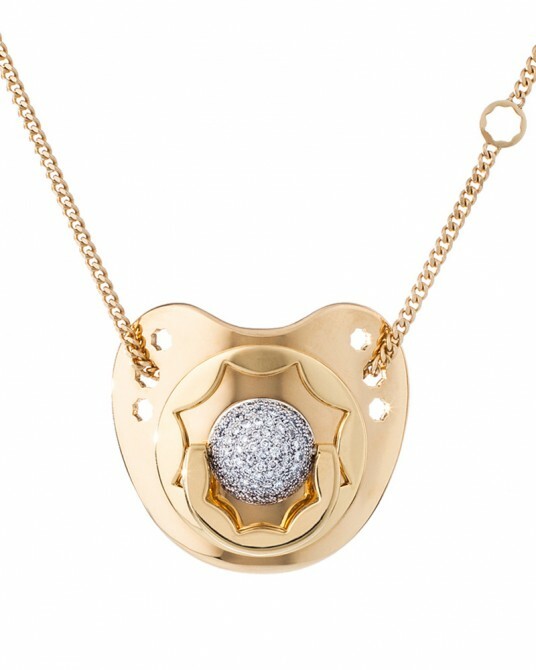 We have created this precious jewel in the shape of a baby’s dummy; it is a delight for the senses, entirely handcrafted in 18k white gold and diamonds that you, the proud mum, will be delighted to wear. When you withdraw the teat, it becomes a splendorous clip or pendant, uniquely combining design and versatility. Elegance and sophistication are this collection’s hallmark, with bespoke handcrafted and exclusive jewels that are divine and unique, as is everything that is created from love. 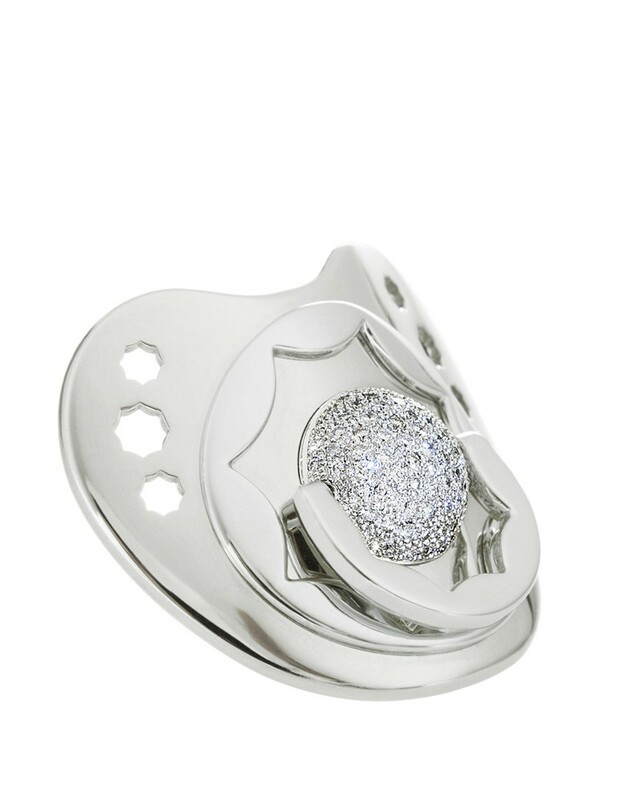 The 18-carat white gold alloy used by Suommo is made with palladium rather than nickel, in order to maintain the metal’s color and sparkle over time. 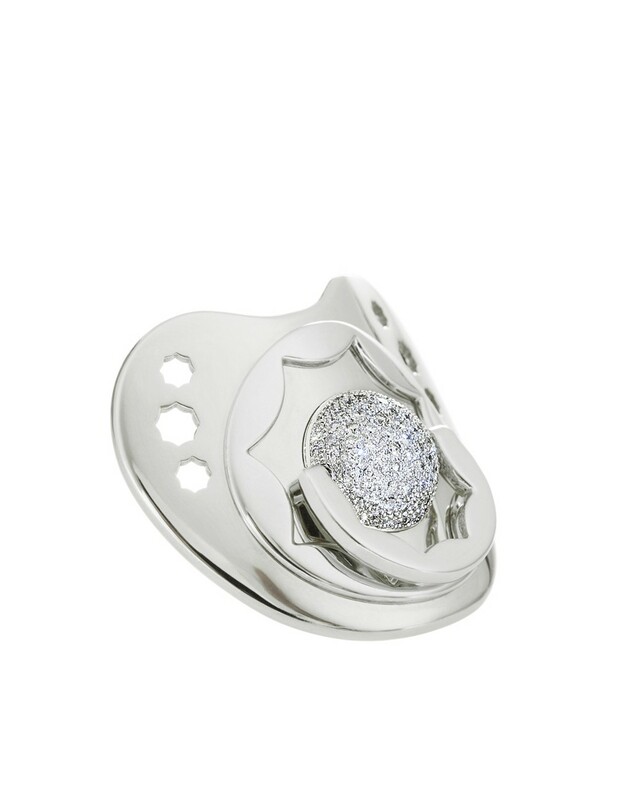 Suommo’s jewelers polish white gold pieces to create a smooth and shiny appearance. 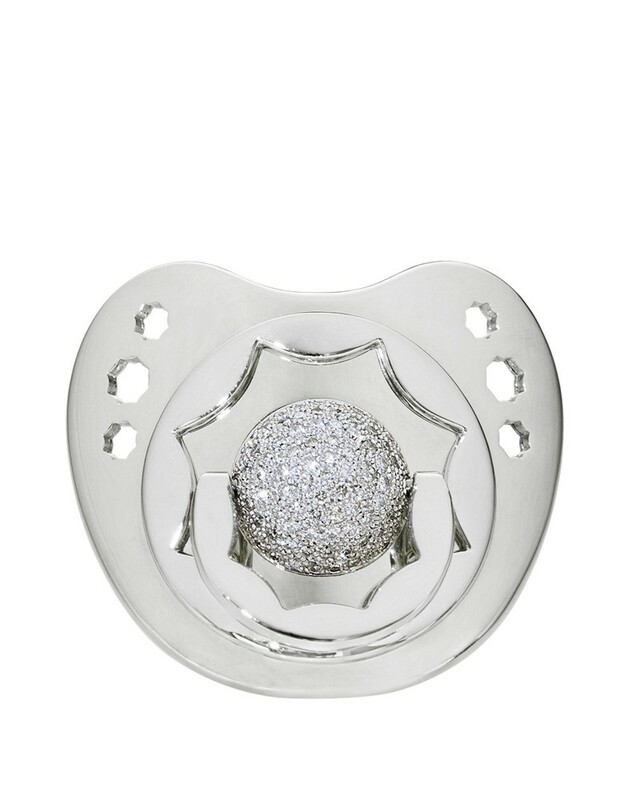 The precious metal’s natural matt gray finish takes on a brilliant sheen once a thin layer of rhodium metal has been applied, heightening the sparkle and whiteness of the gold. 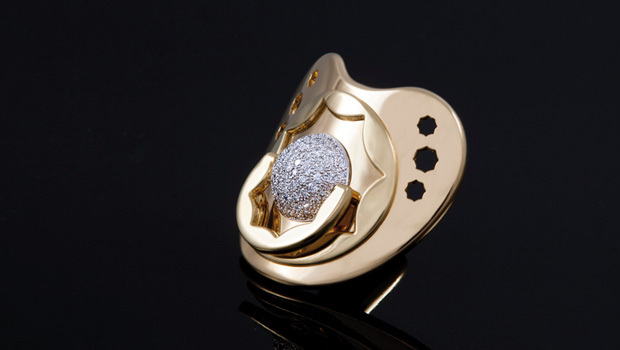 White gold’s popularity has been increasing again since the 1990’s. 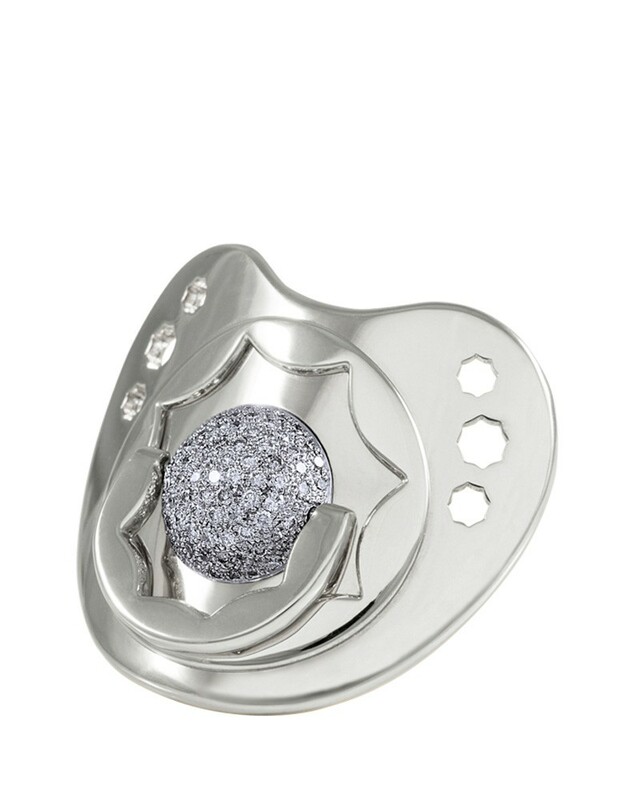 Today, its unique sparkle may be found lending elegance to precious stones and highlighting the clarity of diamonds.